There are certain places, people or experiences in life that are simply indescribable; Marrakech is one of those enigmas. It holds an abundance of beauty and wonder for the curious traveller to explore and admire if they visit with open eyes. From the moment you arrive, something captures you, tugging on your spirit, welcoming you in to experience this vivacious and intriguing place. There is a strange contrast of both openness and mystery in equal measure. 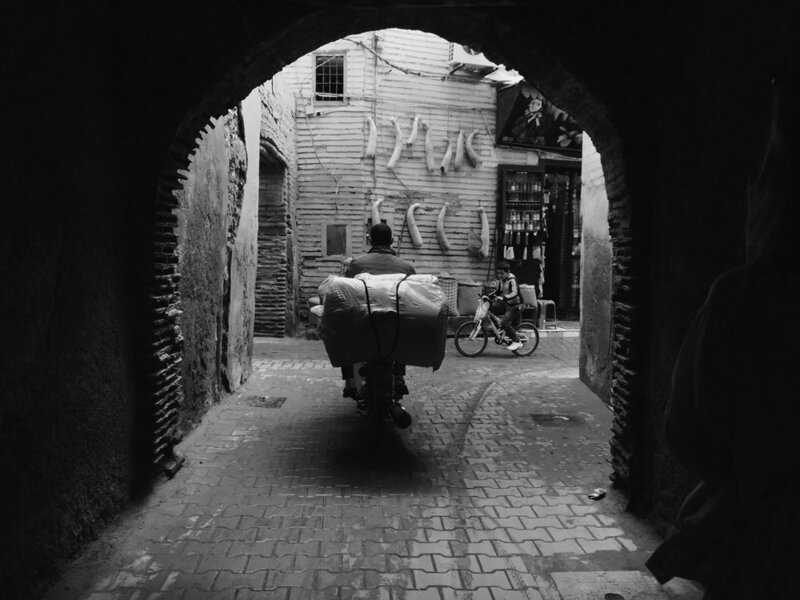 The bustling souks filled with treasures for all to see, yet hidden behind the adjacent door is likely a beautiful hidden courtyard used as a guesthouse for visitors. These riads are like oases in the desert, a necessary relief from the sometimes overwhelming rhythm of Medina life. In every corner of this city, you can find beauty. Simple observations can bring about a vast sense of joy; a brightly-painted doorway, a mule-drawn cart carrying the fares of a local artisan, the haunting call to pray throughout the day. Perhaps most of all, simply observing the energy all around you can be enough to drench your soul in the glory of this city. The key here is to surrender, bathe in the essence of this majestic city and you will be greatly rewarded.